Ralf Scheepers is a guy whose work I’m not too familiar with. I know he was Gamma Ray’s original vocalist and then went to form Primal Fear with Mat Sinner. I do have a few Primal Fear albums but haven’t given them anything more than one or two casual listens but it’s pretty obvious that group (and Scheepers himself) have been heavily influenced by Judas Priest. With my elementary knowledge of Primal Fear, I dare say this debut solo album does not stray too far from the power/speed metal sound Primal Fear is known for. Actually, this isn’t even a leap for me to say since only Primal Fear member Randy Black is missing from this album and it appears Mat Sinner and Magnus Karlsson played on the majority of the tracks in addition to various co-writing credits. Really begs the question of why this is a solo project at all since their is little to no departure in terms of sound or even band personnel. Oh well. Though this is a solo outing for Ralf (his first), the Priest connection stays strong. 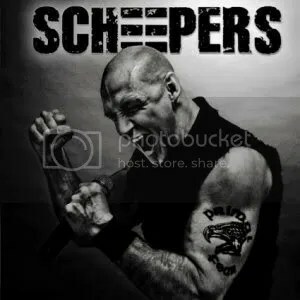 First off, Scheepers sounds a lot like Halford. He’s not copying Halford, this is just what he sounds like. So similar are their voices that Ralf was once in the running to join Priest when Rob left (no truth to the rumor that he would’ve changed his name to Ralford if he got the gig). Secondly, Scheepers covers the ballad “Before the Dawn” from Hell Bent for Leather (Killing Machine for those of you that don’t live in a repressed society). Thirdly, the man who actually did get the Priest gig (Tim “Ripper” Owens) duets with him on “Remission of Sin”. Fourthly, Halford guitarist “Metal” Mike Chalsiak cameos as well! “Locked In the Dungeon” is an appropriate power metal pounder to kick off the album and Ralf’s performance shines. “Remission of Sin” is a treat just to hear two gifted vocalists duet with each other. The chorus sounds like ’80s Priest circa Screaming for Vengeance. It’s just amazing how much Ralf sounds like Halford at times with “The Fall” being a perfect example. Not only is the vocal performance just like Rob but it sounds like the type of sound Halford would do in his own solo band. Other highlights are the moody “Doomsday”, the stellar cover of “Before The Dawn” and the ballad “The Pain of the Accused”. Some filler such as the cheesy “Saints Of Rock” (Halford probably would’ve loved to have had this on Made of Metal) and generic rocker “Back On The Track” have unfortunately found their way onto this album but overall this is still a good “solo” outing and should please fans of Primal Fear.